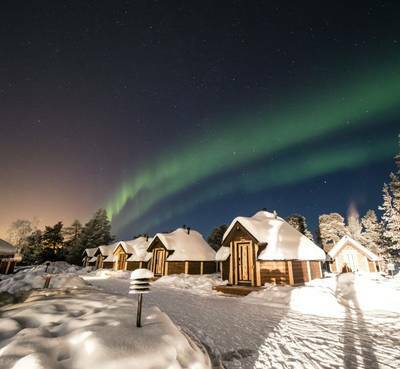 There are few places that depict that idyllic image of winter quite like Wilderness Hotel Inari. 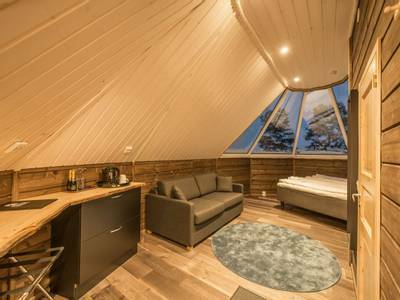 Based right on the shores of Lake Inari, the views from here are spectacular, and the hotel itself offers a cosy and relaxing base. Hunting for the Northern Lights is simply spectacular, as the remoteness of the destination means little light pollution and a heightened chances of spotting the Aurora. Plus, all of the best activities are possible here, including huskies, reindeer, snowmobiles and snowshoes. What more could you ask for? 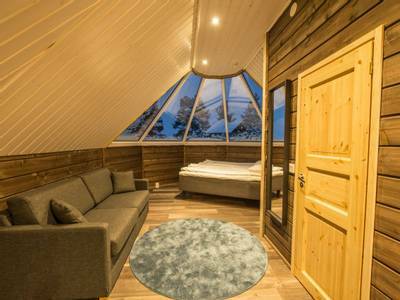 Wilderness Hotel Inari’s location is breathtaking and guests will delight in looking out across the frozen Lake Inari during their stay. 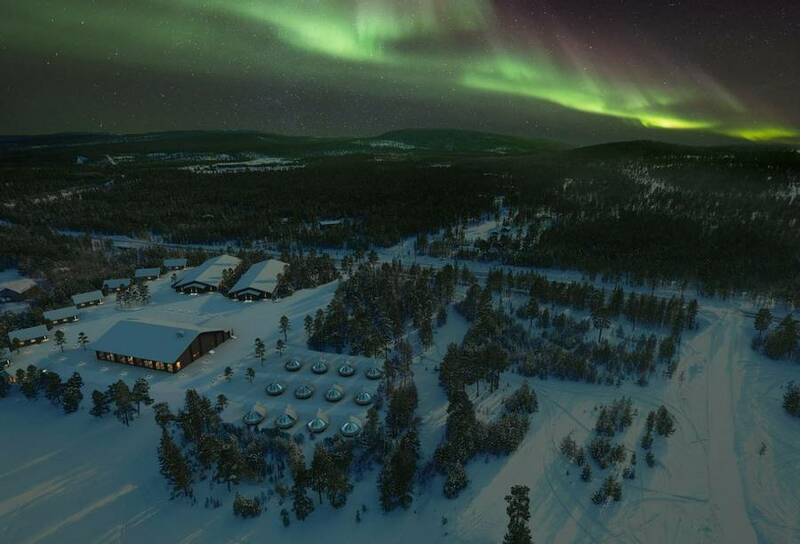 By day, this winter activity playground provides dog sledding, reindeer encounters, insights into Sámi culture, and the chance to enjoy cross-country skiing and snowshoeing. At night, the lack of light pollution here is the real key for Aurora hunters, providing the backdrop for five dedicated Aurora-based activities. Flights: flights are included from London to Ivalo (either direct or via Helsinki depending on departure date). Flight routes are subject to change and regional departures may be available. 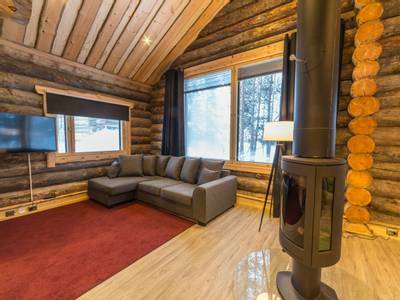 You’ll find that many of our holidays are situated within reach of Lake Inari, but no other destination has a location quite as close to the lake as Wilderness Hotel Inari. 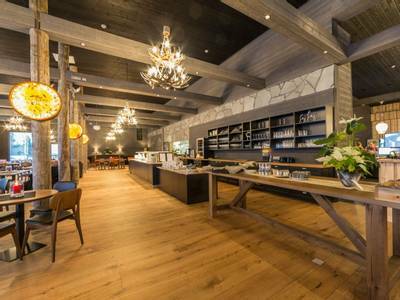 This newly built hotel sits proudly on the lake’s shore. 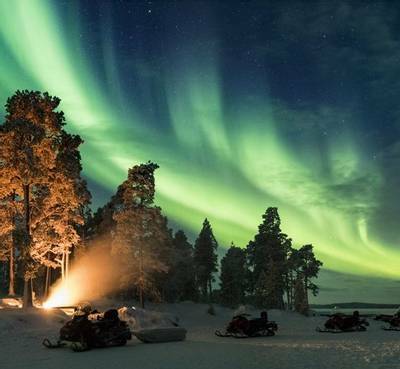 This region of North East Finland is renowned as a Northern Lights destination and is a real paradise for those who want a dedicated week of Aurora hunting and the chance to take part in all the Arctic activity highlights as well. 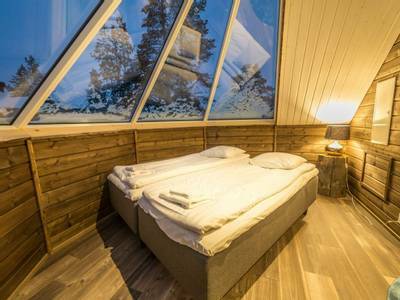 Wilderness Hotel Inari is the brainchild or our long-standing friends and local partners, Jouko and Mari Lappalainen who also own Nellim and Muotka which are two of our most popular destinations. They have coveted this location for years, simply because of the view and the Aurora viewing potential. Having realised their dream of securing the land they then brought their charm, imagination, dedication and expert guides in, to create an incredible new destination. 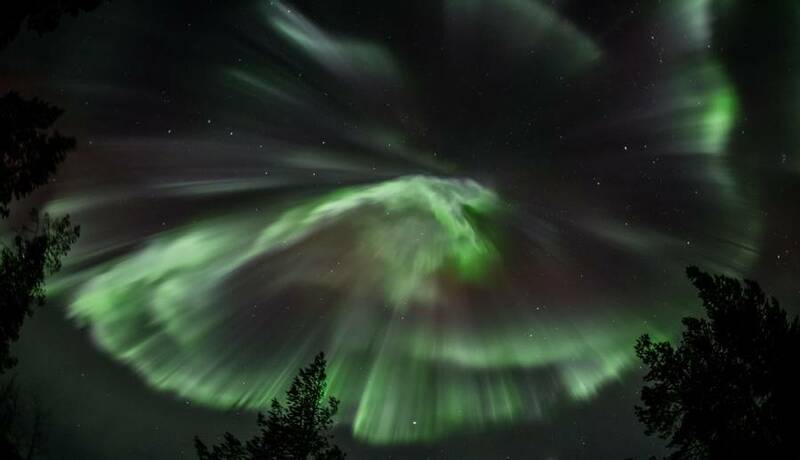 When it comes to Aurora hunting there are few areas which would stack up against the Inari region. There are so few people (far more reindeer) here that there is very little light pollution and the vast lake provides unadulterated views north across the ice. 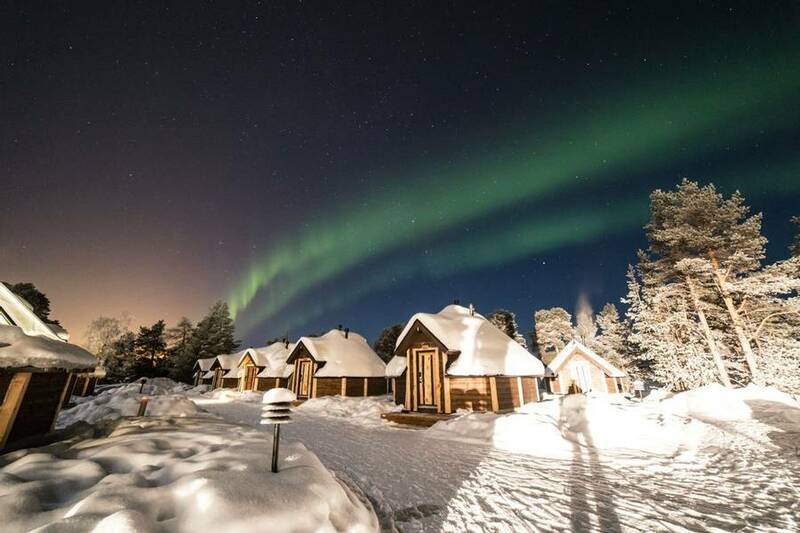 We include five dedicated Aurora hunts in this holiday which include an informative workshop, two visits to perfectly located Aurora Camps, a hunt by car/minibus and an Aurora snowmobile safari. These activities when coupled with a seven-night stay provide a fabulous potential for witnessing the lights. 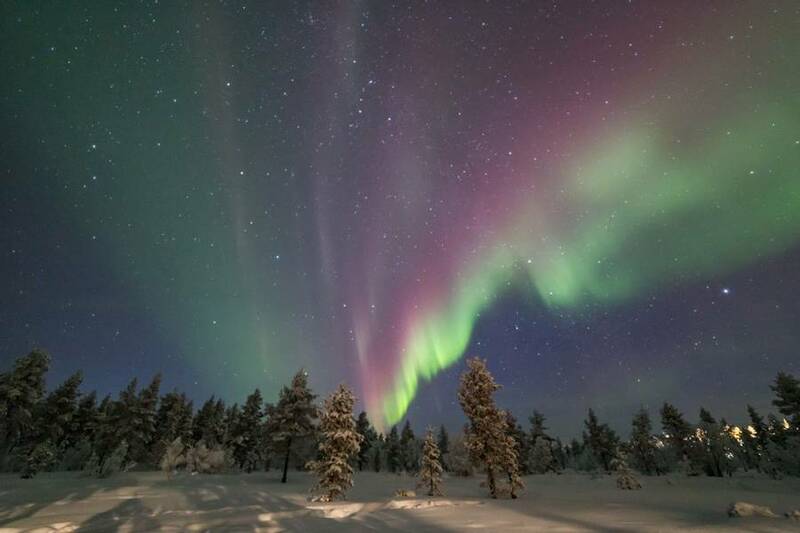 The wonderful thing about Inari is that, like in many of our destination, if the Aurora conditions align on a night when you are not taking part in a Northern Lights hunt, you still have an excellent chance to witness them from very close to the hotel. 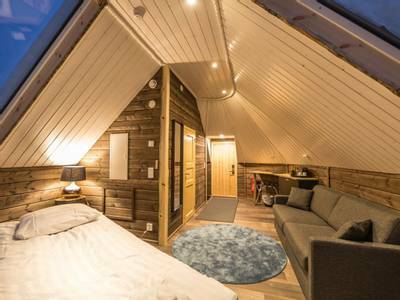 We find that many guests also like to consider upgrading to one of the Aurora cabins in order to gaze at the sky from the comfort of their own bed. Please see the accommodation section for details or ask one of our experts for an upgrade quote. 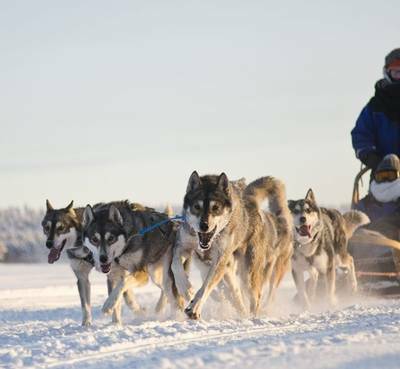 During the day you’ll take to the trails for a dog sled safari with an eager team of huskies and will also try the favoured Finnish pastimes of snowshoeing and cross-country skiing. These are all exceptional ways in which to explore the landscape around you. The village of Inari itself is not far from the hotel and is the centre of Sámi culture in Finland. We make sure that you glean an insight into this fascinating indigenous culture during your holiday. 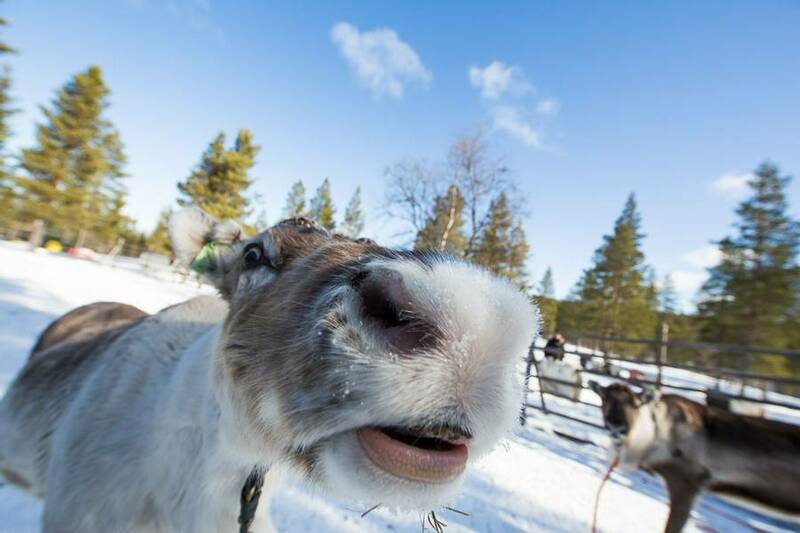 You’ll visit the Sámi Siida Museum in Inari and will also meet with a reindeer herder and their animals. 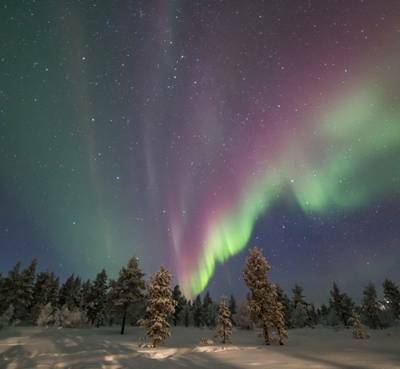 This is an unforgettable week which encompasses all of the main highlights of Lapland and provides some outstanding Northern Lights viewing opportunities. Upon arrival at Ivalo Airport, you will be met by your transfer driver and driven to the hotel on the shores of Lake Inari around 40 minutes away. Once you’ve settled into the hotel, dinner will be served in the restaurant which has huge windows looking out across the lake. Your cold weather clothing will be allocated either tonight or tomorrow depending on your arrival time. Whatever you do, don’t forget to cast an eye to the north before bed tonight, just in case the Aurora are dancing overhead. 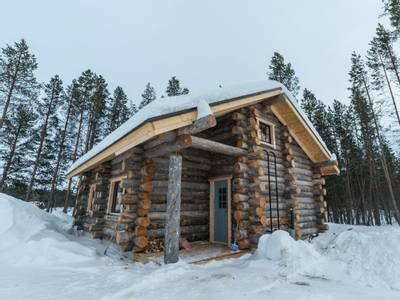 The final order of your activities will be confirmed to you on arrival at Inari Wilderness Hotel and so this agenda is provided as a guide to what is included, rather than forming a fixed programme. One of the best ways to appreciate your new surroundings is on foot. 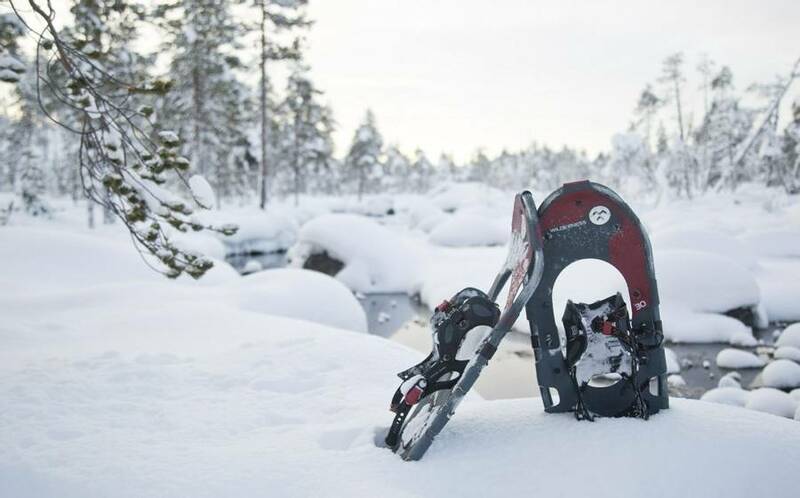 You wouldn’t get very far just walking around in the deep snow as you’d quickly end up knee deep, but if you put on snowshoes life is much easier. 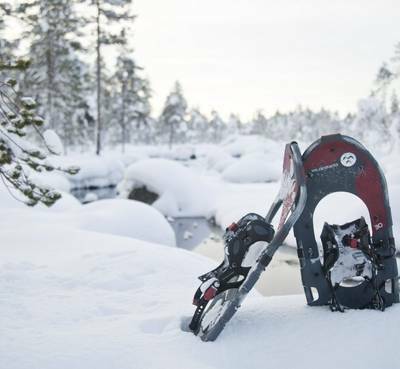 Today’s snowshoe walk will last for around four hours (including a break for a lovely lunch around a campfire) and so there is plenty of time for you to soak up the silence of this wild environment. The pace will be leisurely so you have time to stop and admire the flora and fauna in the company of your expert guide. 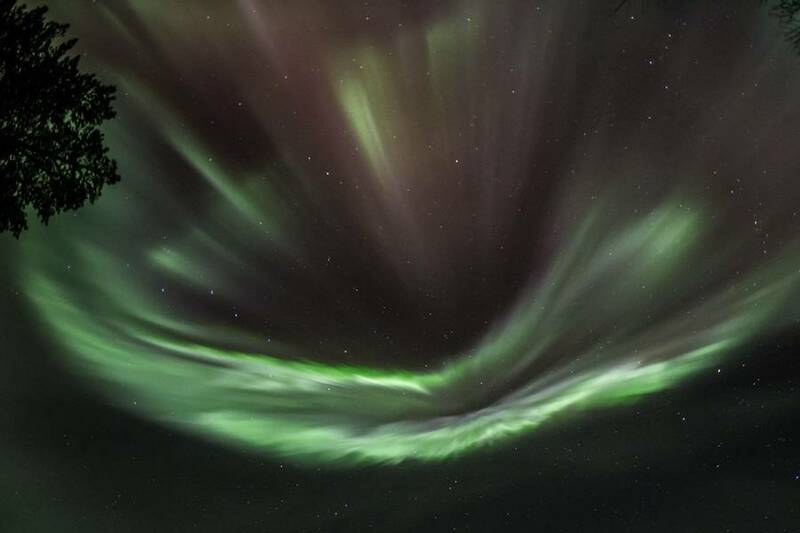 This evening, you will gather for an Aurora Workshop at the hotel. 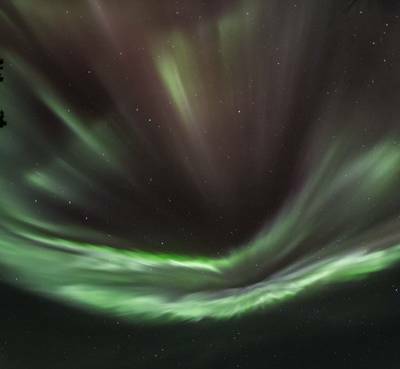 This informative presentation will provide you with a greater understanding of the Northern Lights and the basics of how to capture the Aurora on camera. The Sámi Siida Museum is located in the small village of Inari, just a short drive from the accommodation. A visit to this fascinating museum provides a great insight into Sámi culture both in the past and present. 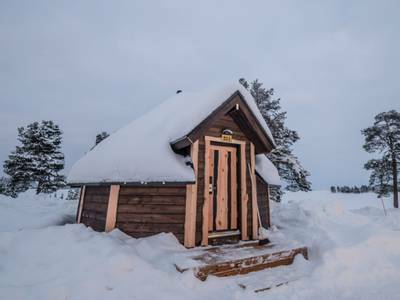 The museum helps to ensure that the values and traditions of Lapland are not lost. The many displays and interactive presentations available will keep you well entertained and guests always find it a fascinating experience. 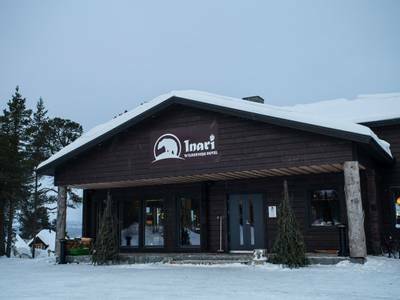 Your meals will be served at the hotel (lunch may take place in Inari depending on timing) today and you’ll need a hearty dinner ahead of your Aurora Camp excursion this evening. Jouko and Mari (the owners of the hotel) and their guides have set up wonderful Aurora Camps all over the area. They are all situated in places where the skies are pitch black and the views to the north are unobstructed. 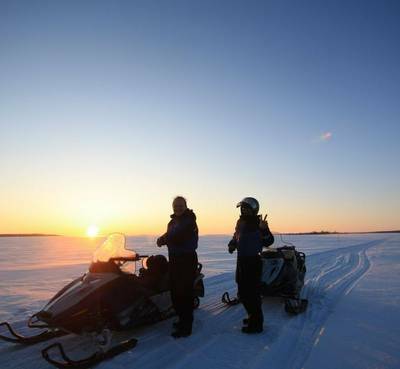 Travelling in a sleigh pulled by your guide’s snowmobile, you will travel in comfort to the camp. 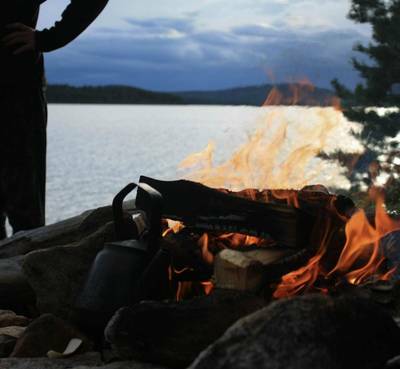 A fire will keep you warm and hot drinks will be served as you patiently wait for the Northern Lights. With a little luck, they will make an appearance tonight. You will be out for around 2.5 hrs tonight. 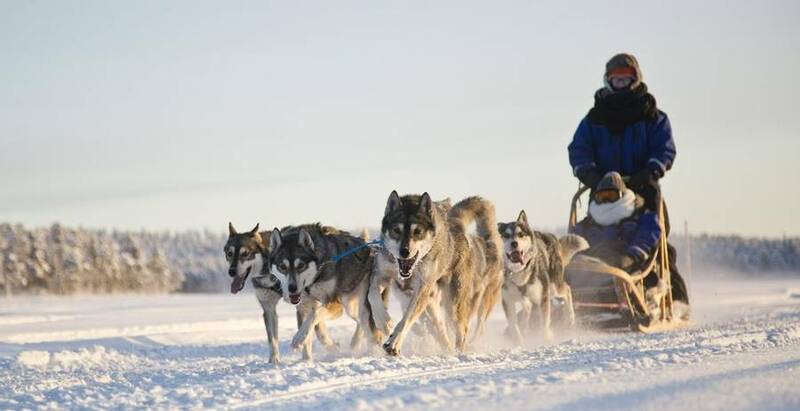 There are few activities which are as synonymous with the Arctic as a husky safari. There is quite simply nothing that can really be compared to the sense of adventure you get from hitting the trail with an eager team of dogs pulling your sled along. It is a time-honoured way of travelling which has never lost any of its appeal. You will be transferred to the husky centre where you will meet the mushers and the rather excited dogs. When you hear their barks on arrival don’t panic. They are just so keen to get out on the trails that they cannot contain themselves. As soon as they set off though, they fall wonderfully calm and become very focused on the task at hand. Prior to setting off, you will be given a full safety briefing and instructions from your guide on how to control the team and the sled. You’ll then release the anchor and head into the wilds with your trusty team setting the pace. Travelling two people per sled, you will be out on the trails for around two hours and there will be the chance to swap drivers. Lunch will be served either before or after your adventure depending on departure time. The remainder of your day and evening are free for you to relax and unwind. Dinner will be served at the hotel and you may want to head down to the lakeshore to keep an eye out for the Aurora before bed. Today has been left free for you to tailor your time. This is a hugely relaxing setting and there is a lot to be said for some taking a few hours just to appreciate your surroundings. If you’d rather do that in an active way then there will be optional activities available locally. All your meals are included and will be served in the hotel’s restaurant with its panoramic windows. 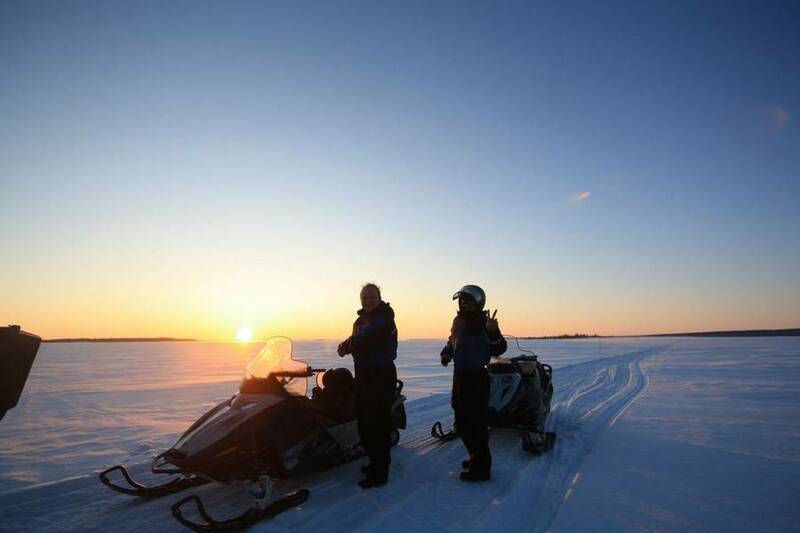 Tonight the pace is upped slightly as you use the mobility provided by snowmobiles to search for the Northern Lights. This time you won’t be in a sleigh but taking control of the machine yourself as you travel the trails with your expert guide leading the way. After a full safety briefing and a lesson on how to handle the snowmobile, you will set off in pairs. You must be over 18 and hold a full driving license in order to take the controls. The aim is to outrun any localised cloud cover tonight and your guide will use the latest weather and Aurora forecasts to try and hunt down the best potential viewpoints. 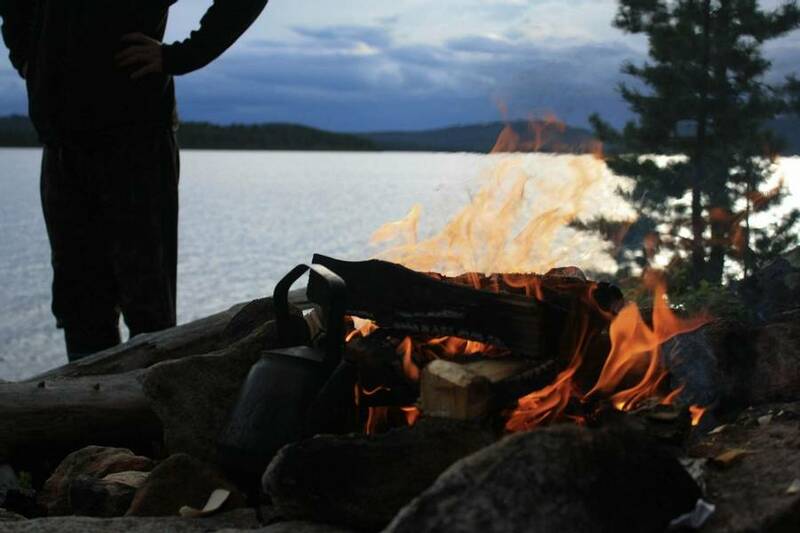 Warm drinks will fortify you as you enjoy the crisp night air. Hopefully, your headlights won’t be the only lights visible this evening. Cross-country skiing is one of those activities which Finns start to do as toddlers. Most of us aren’t quite that lucky, but as this is such a popular pastime in Finland it would be rude not to see what all of the fuss is about. You need no prior experience of any kind of skiing to take part, as your guides will provide all the necessary tuition. Once everyone has got the hang of it, your group will head out for a loop on one of the trails close to the hotel (they are all around this region). In total this activity will last approximately two hours. Now, if the lights have so far proven elusive, tonight could provide an excellent opportunity for you to see them. Travelling either by car or by minibus, your guide will drive you on a route specifically chosen to match the night’s Aurora and weather forecasts. The beauty of being mobile is that you can cover greater distances and therefore have a better chance of being able to find clear skies. 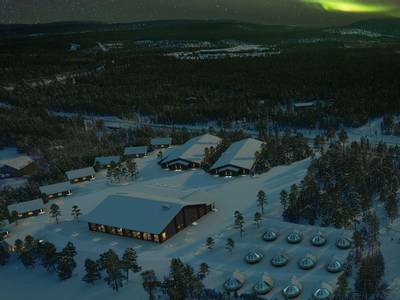 If the conditions are good close to the hotel you’ll set up in one of the Aurora Camps nearby. If there is cloud cover, you’ll head further afield and will hopefully outrun it. All in all, you will be out for around 2.5 hours. 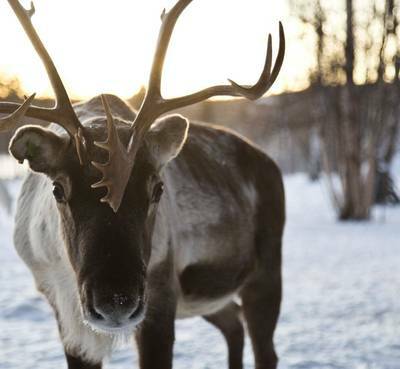 Today’s activity allows you to get an idea of what life is like for the traditional reindeer herders of Lapland and their animals. 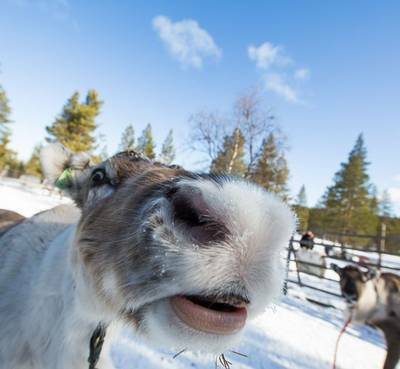 You’ll visit a local reindeer farm where the peaceful animals will be the star attraction. 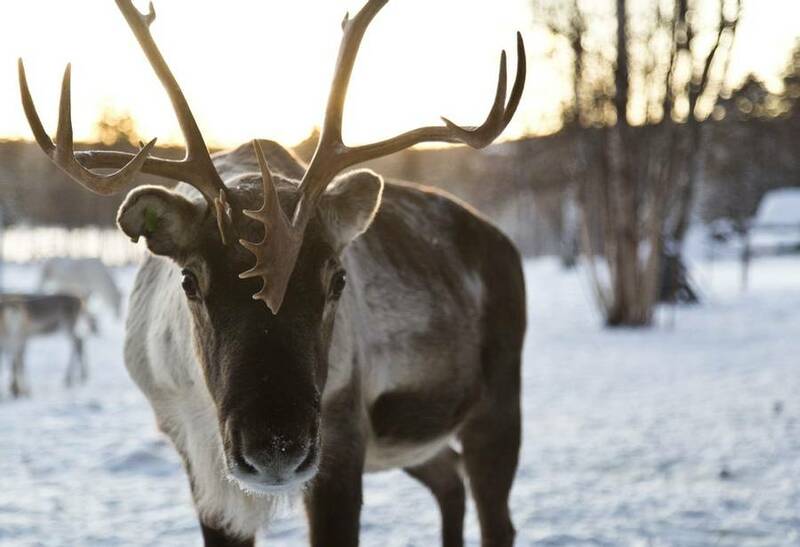 The herder will provide you with details about their year and the life and importance of a reindeer to the local people and economy. The experience will last for around 2.5 hours. Back at the Wilderness Hotel this evening you will enjoy your final dinner in the restaurant before your last Aurora hunting experience. 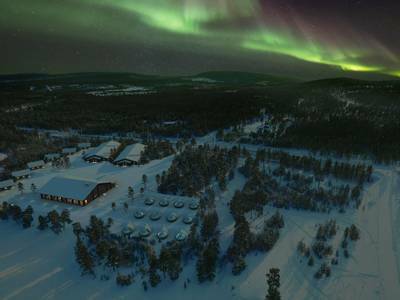 Tonight your guide will take you back out to one of the Northern Lights camps. It is the ideal spot in which to gather with other guests and contemplate all of the experiences you’ve had over the week, as you await a sighting of the lights. 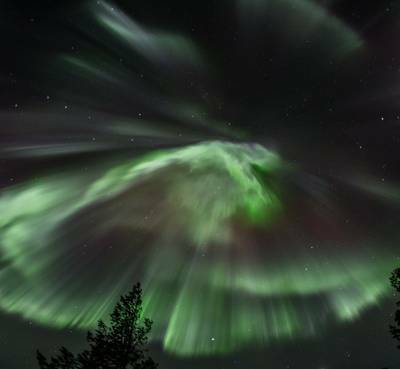 With a little luck, the Aurora will appear above you to bid you farewell. Today it is sadly time to wave goodbye to Inari and the Arctic. You will be transferred back to the airport in time for your return flights home. 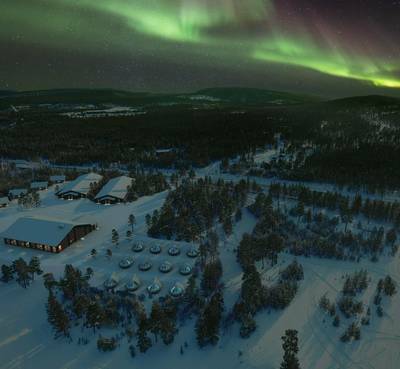 Situated on the shores of Lake Inari, Wilderness Hotel Inari combines comfort and tradition and is set to become a huge Aurora Zone favourite. It probably also helps that it is slap, bang in the middle of some of Northern Scandinavia’s prime Aurora hunting territory! 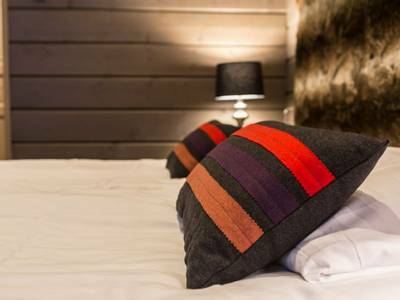 The hotel provides warm and comfortable accommodation in 40 “Wilderness” bedrooms, 8 log cabins and 12 Aurora cabins. 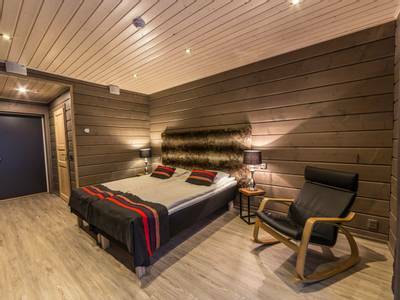 The hotel is just a 40-minute drive from Finland’s most northerly airport and five minutes from Inari Village, the heart of Sámi culture in Finland. Most importantly perhaps is that the density of population here is very, very sparse so there is virtually no artificial light pollution. 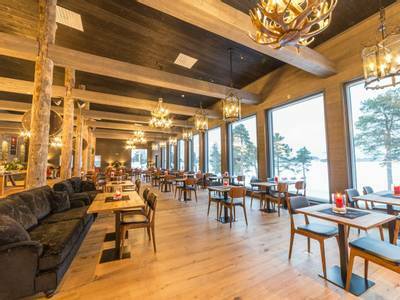 The restaurant is Lappish themed with fantastic north facing panoramic windows running the length of the room offering views out onto the frozen water of Lake Inari. We fully expect a few meals to be abandoned over the course of the winter as the Aurora becomes visible during dinner (the chefs get used to it)! 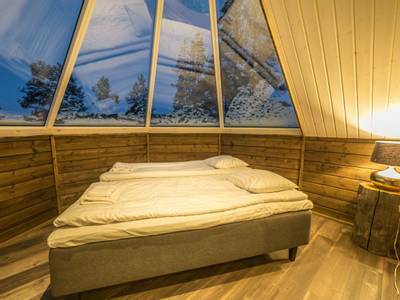 ‘Wilderness room’ is perhaps a bit of a misnomer because these bedrooms are anything but wild or basic. The rooms are located in two separate buildings just around 50 metres from the main building which houses the restaurant and reception. 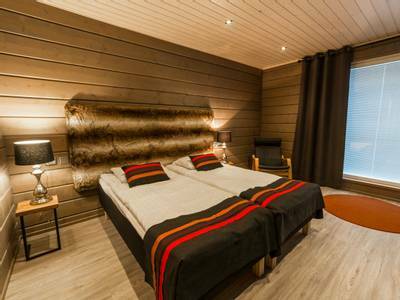 Each room has been decorated in a traditional Arctic style with the theme taken from the surrounding environment. 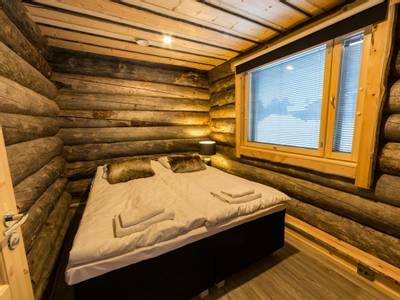 They are around 30m² and have either a queen-sized bed or twin beds. 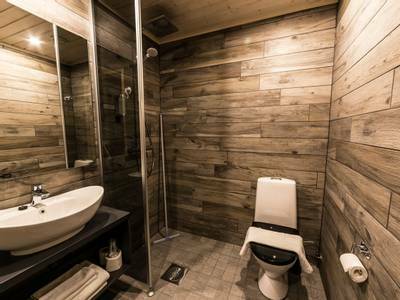 Every “Wilderness” bedroom is en-suite (with bath and separate shower) and comes complete with hairdryer and toiletries. On the ground floor, you’ll find a spacious dining/living room, comfy seating, and a wood burning stove as well as the main bedroom with a queen-sized bed. There is also a kitchenette and dining area, although all of your meals are provided in the restaurant. 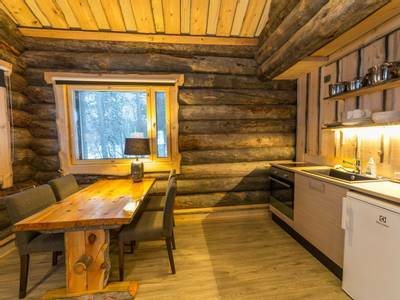 The cabins also provide free Wi-Fi. 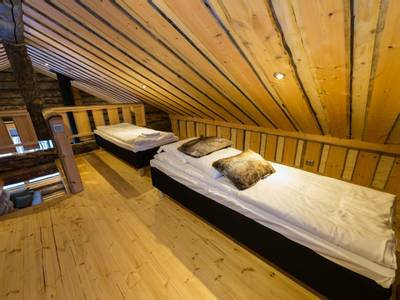 The loft area upstairs can accommodate three more single beds and, thanks to the pull-out sofa in the living area, the capacity of these cabins ranges from two to six people. They are ideal for couples looking for a very romantic hideaway or for small groups of friends or family. 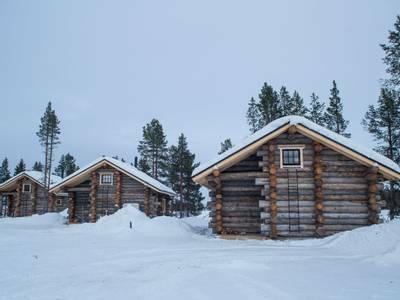 The cabins are between 10m and 100m from the main building. There are cabins with lake views and these do come at a supplement. Please ask one of our Travel Experts for a quote. The minimum age for participation in our itinerary is 15 years old, however, for some activities and shared transfers, our guests may be joined by others and these may include those of a younger age. Any younger participants will be fully supervised by an adult and the guides will ensure that they are only able to participate if there will be no effect on the activity experience. None of the hotels we feature have a minimum age and so there may be families staying at them with younger children, especially during the holiday periods.